Dental Bondings | Smile Angels of Beverly Hills - Bruce Vafa DDS. Dental bondings are one of the fastest, most affordable treatments in cosmetic dentistry. A dental bonding can be used to make minor repairs or cosmetic changes to a single tooth or several teeth and can be customized for your needs. It can be used alone or with other cosmetic treatments as a part of a complete smile makeover. Our expert in dental bondings in Beverly Hills, in the heart of Los Angeles, can help you decide if dental bondings are right for you. If you are a candidate for a dental bonding, our Beverly Hills dental bondings expert will first prepare the tooth. The procedure does not require anesthesia, but if there is decay present, a local anesthetic may be used to numb the area and ensure your comfort. The decayed tissue will be removed from the tooth, and a special conditioning liquid will be painted onto the tooth to prime it. The dental bonding procedure is performed using a tooth-colored composite resin. Our expert in dental bondings in Beverly Hills, in the heart of Los Angeles, will apply the putty-like resin in thin layers, curing each layer individually using a special light. The bonding will be used to recreate the natural surface of the tooth. Once the bonding has been built up and cured, it will be trimmed to ensure a comfortable bite and then polished to match the surface of the natural tooth. Each dental bonding takes between 30 minutes and one hour. Our Beverly Hills dental bondings expert may recommend more than one appointment if you need several dental bondings. 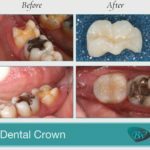 Once your dental bonding is in place, you will need to take certain steps to keep it in like-new condition. To reduce the risk of discoloration, avoid drinking wine, coffee, tea or other staining beverages or smoking for the first day or two after the bonding has been placed. If you grind your teeth, you may need to wear a mouth guard to protect the teeth and your restorations. 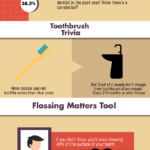 Good dental hygiene will help keep the underlying tooth and adjacent teeth healthy and strong. Contact our dentist in Beverly Hills today to learn more about dental bonding or to schedule your consultation.